Ostrov Company will take part in Russia’s International Trade Fair Chillventa Rossija 2013 dedicated to the questions of refrigeration, air conditioning and heat pumps for industry, commerce and building. 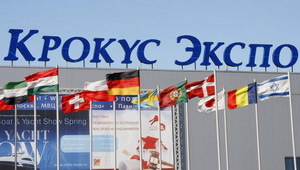 The exhibition will be held in Crocus Expo Center (Moscow), February 5-7. You can see our new products, our software and services of Ostrov Training Center and Service Center at our stand. We will inform you in detail about our web-portal OstrovKnowledgeBase at a conference within the framework of the exhibition. This web-portal is the largest database containing complete information on refrigeration, cryogenic and air conditioning equipment as well as production, processing and storage technologies of agricultural products. We invite you to visit our stand A11 situated in Pavilion 2, Hall 7.